The Lincoln County Fair welcomes home Jake Shafer! Jake will perform on the Main Stage July 13 at 7:30 pm opening for Scotty McCreery! You won’t find a single road that leads from rural Lincoln County, Missouri to Nashville, Tennessee. 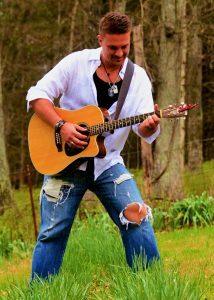 Singer/songwriter Jake Shafer draws on experiences along his unique road to Nashville from farming fields and backroads of Missouri to closing out games in Yankee pinstripes to the bright lights of Nashville.He finds his sound and lyrics in music inspired by the likes of Merle Haggard, Johnny Cash, Brothers Osborne and Chris Stapleton. His live show blends in talents honed everywhere from the show choir stages of Troy Buchanan High to professional ballpark pitching mounds to bring his music to life. After entertaining audiences for several years back home, a series of fortunate events led Shafer to Nashville to pursue his country music dreams. He’s determined to enjoy every minute of the journey and create great memories for himself and the people at his shows along the way. *All concerts included with admission to the Lincoln County Fair!